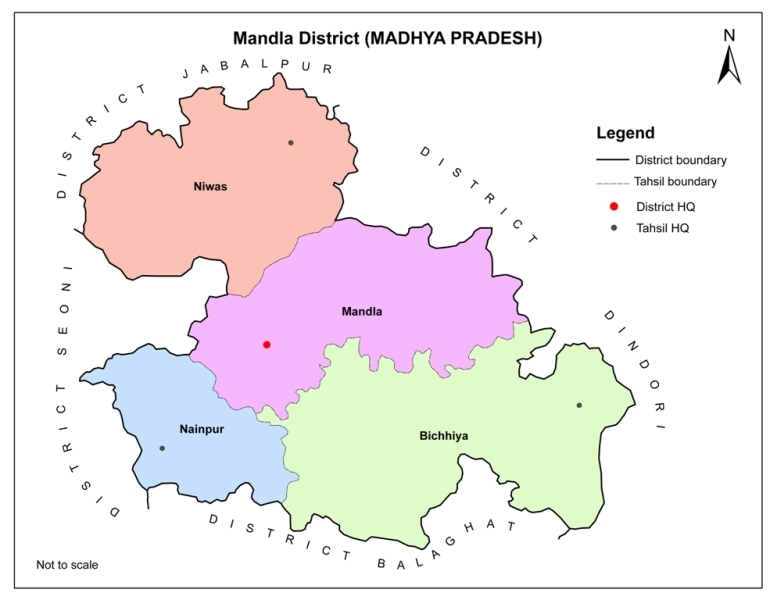 Mandla is a tribal dominated district, located in the hilly and forest areas of Maikal hill range of the Satpuras, in mostly scattered habitation. The total area of the district is 8771 sq.km and consists of total population of 10,53,533. There are 9 blocks, 6 tehsils and 1221 habitable villages in the district.